After the restrictions during the Yugoslav years, and everything that followed, Chateau Ramšak is finally opening its doors to the public. Is it worth the journey? I travelled through the rolling hills of Slovenia to find out. 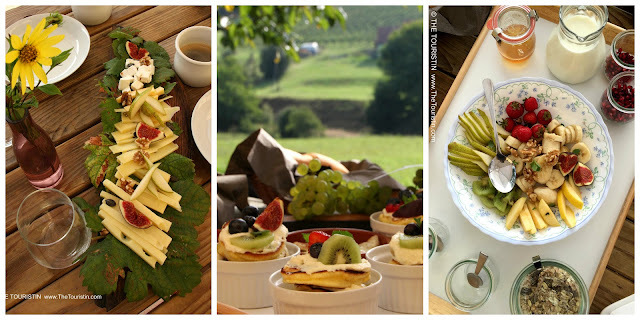 A vacation in the countryside of Slovenia. I see two playful deers on the green as I make my way from the parking area over the wooden pathway towards my tent. I look at them from a safe distance, to not disturb the cute pair. Soon they are disappearing into the thick undergrowth. Slovenia is a country in southern Central Europe. 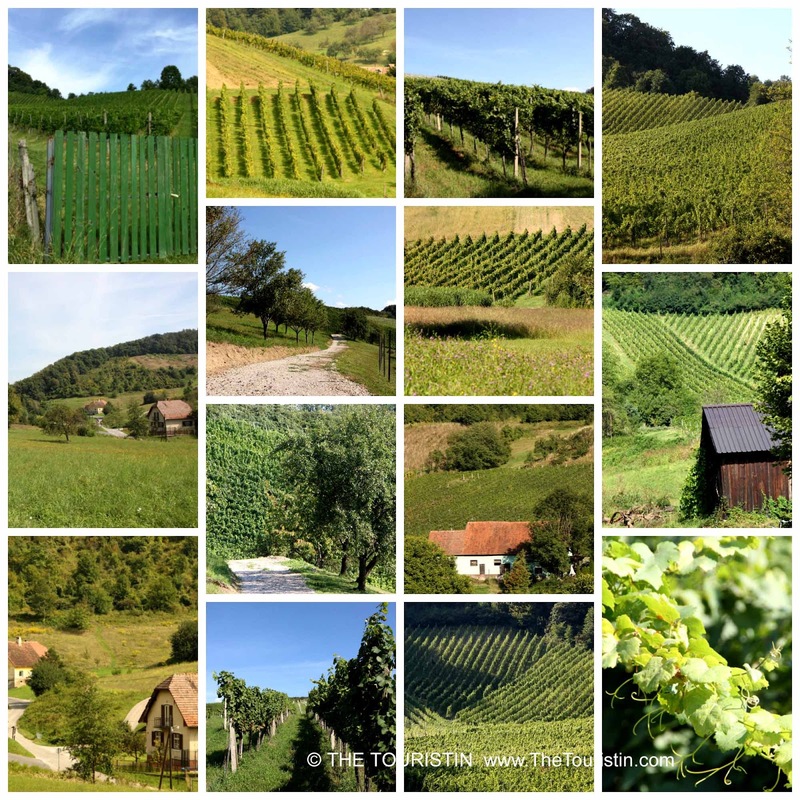 Most things happen in the two major cities Ljubljana and Maribor, the rest is rather rural and foremost populated by farmers, it is a true nature lover’s paradise. Its neighbours are Italy, Austria, Hungary and Croatia. I’m here to glamp in the charming countryside, on a winery near Maribor in Štajerska, in English Lower Styria region. 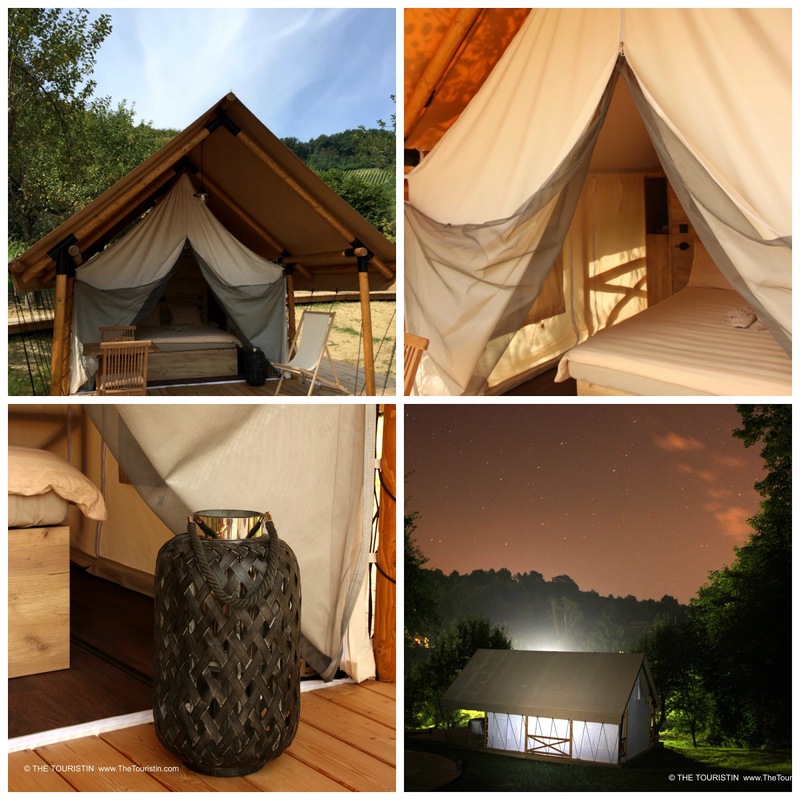 Glamping is the combination of glamour and camping, and that is exactly what I find as I unfasten the zipper of my safari style tent. The zipper makes this distinct noise. While it echoes through the quiet valley I feel very “out of Slovenia,” and as a result my heart starts to beat a little bit faster with excitement. That is what travelling does to you. My tent has a bedroom with a comfy bed and a wardrobe, a bathroom with delicious organic cosmetic products and a strong enough shower and hairdryer, a tiny kitchen with tea and coffee making facilities and even a fridge. You can sit in a sun chair on your private terrace to read a book and listen to the sound of silence; you can do this also in your very own outdoor Jacuzzi. Wouldn’t you say this is heaven? After the gleam of the last light is gone, nights are pitch-dark and quiet; the only sound “Hoo-Hoo-Hoo-Hoo” comes from an owl. Is it an owl or a dove? It is the time when the only thing I want to do is to watch the starry night sky. Chasing shooting stars. Looking up and keep on dreaming. There is a flat screen in the tent; I wonder what sort of person needs this type of entertainment, when the art of nature is so much more impressive? Breakfast is a pretty and yummy affair on the terrace in front of the main house with a view over the valley, the crow of roosters adds to the idyllic atmosphere. The food is sourced locally and cooked by chef Alja Martinjak, a former lawyer, whose passion for food was big enough to let her whole-heartedly change careers. The warm and smiling locavore loves to use only a few ingredients, and to create lavish feasts. One night she cooks pumpkin pasta that tastes to die for and I ask her for the recipe. She writes it down, with a pen. I'm touched, I honestly can't remember a time I have been given something handwritten (apart from Birthday and Christmas cards). Days later I see that Alja has written “Don’t forget to also add some love to the dish” at the end. I think of her and smile. There wouldn’t be a reason to leave Chateau Ramšak but you should visit Maribor, a university town, which is ideal to go out to listen to live music, have dinner, eat ice cream, and grab a coffee. 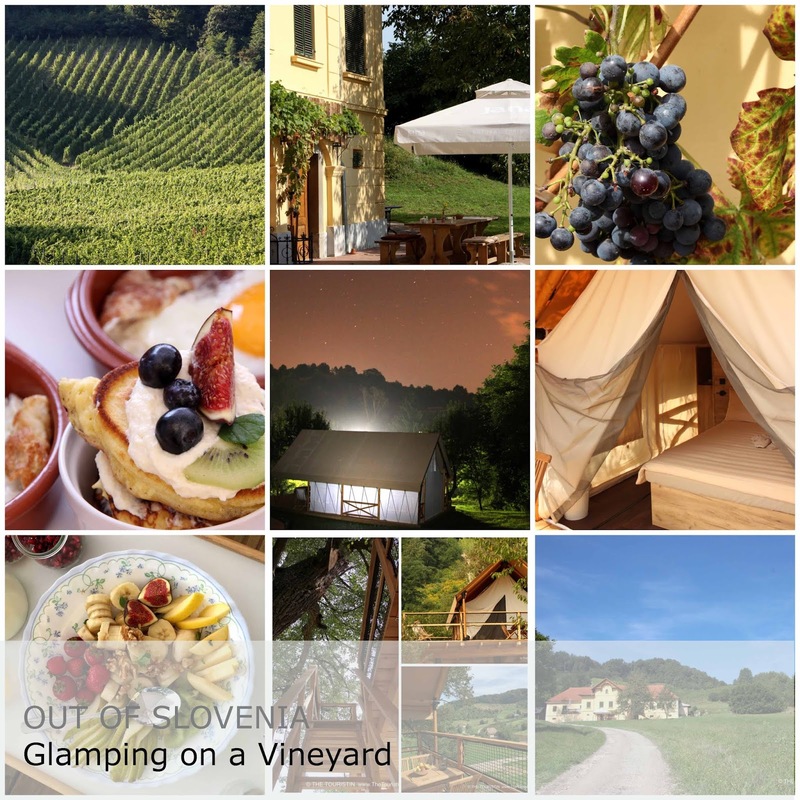 You will certainly gain a true insight into daily life of Slovenians in this town. On the banks of the river Drava you find the oldest vine in Europe, a descendant of it has been planted at Chateau Ramšak. Everybody I meet at Chateau Ramšak feels a deep love for their town. That also goes for the owner family, the wine makers. The family makes their own wine, like they always did. Chardonnay, Pinot Grigio, Green Silvaner, Sauvignon Blanc, Riesling and a desert wine, Moscatel. Wait, not always. Initially the grandfather planted this vineyard for pleasure. The GP, who, during the day devoted his full attention to the care of his patients, happily pottered around his land after work. Until the day it was taken from him. 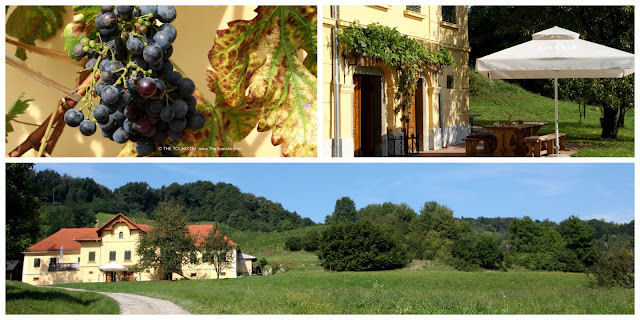 The winery was nationalized during the Yugoslavia years. These days Slovenia, together with Croatia, Bosnia and Herzegovina, Serbia, Montenegro and Macedonia is one of six recognized Yugoslav successor states. Sadly, the status of Kosovo gets still debated. After the collapse of Yugoslavia the return to the rightful owner before nationalization had priority over compensation, and eventually the winery became part of the family once again. At this time grandfather was dead, but his wife almost saw the happy ending. She died at age 100, three years before she and her family would call Chateau Ramšak home again. The wine making is solely in the hands of the family. The quartet of mother, father and two sons put all their energy into their project, and receive excellent feedback at international wine shows. 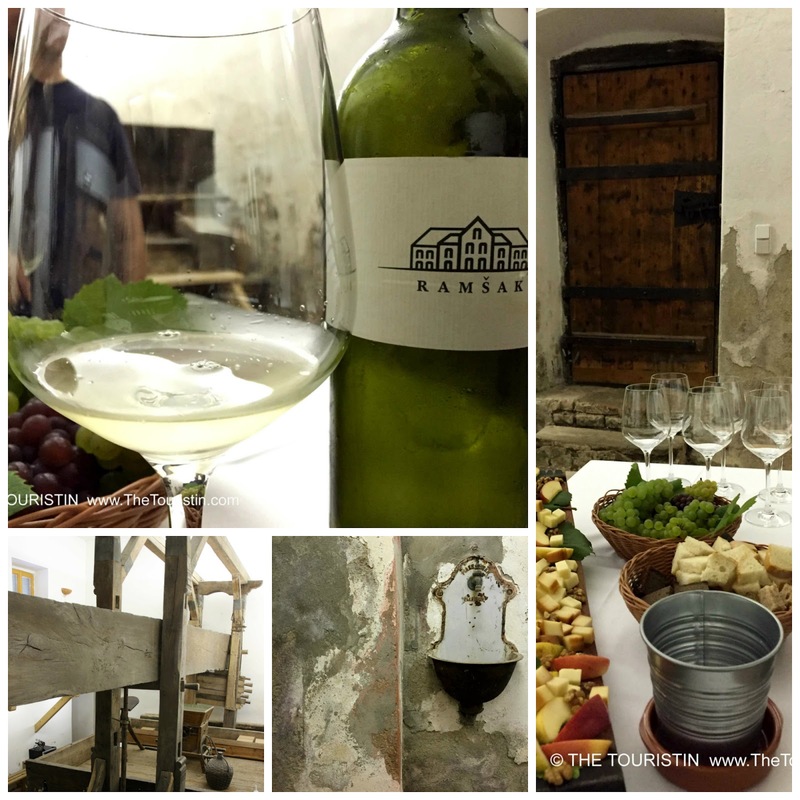 During a wine tasting next to the biggest wine press in Europe (I would have never in a million years thought to find that in Slovenia) we tour the cellar and Tomasž betrays us a secret “This is the place where our wine feels at home.” I believe he speaks for the whole family. The family is happy to guide non-guests around their winery and offers wine tastings. For more information please visit their website to book with them directly. I was looking for glamping in an off the beaten path location in Slovenia, and this winery impressed me with 1) its secluded but easy to reach location 2) the raw compassion and love for life of the hosts 3) the stylish and down-to-earth backdrop. 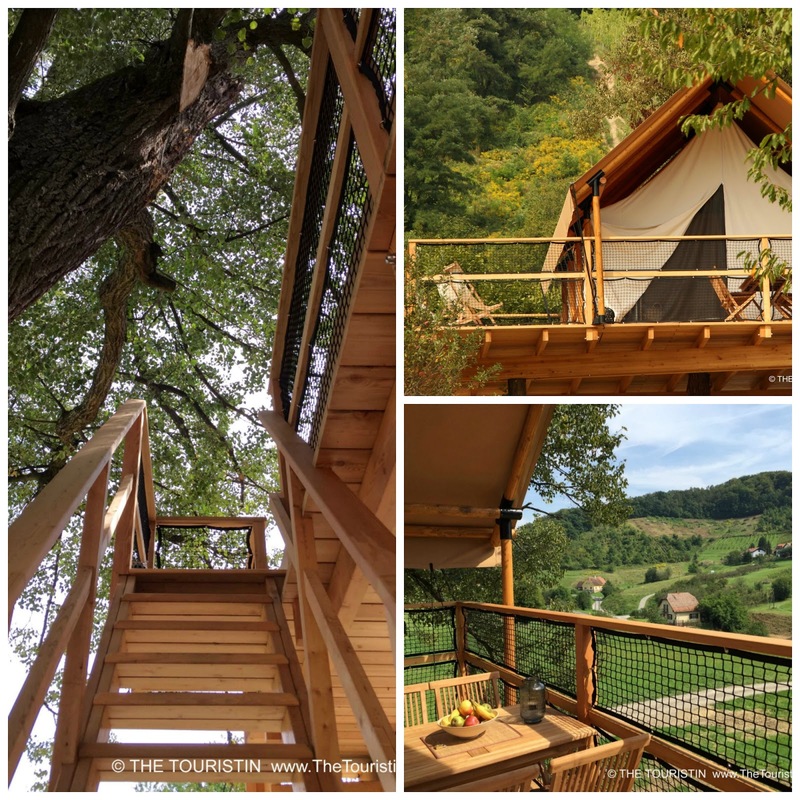 Would I stay at Chateau Ramšak again in the future? Absolutely. Would I recommend a stay at Chateau Ramšak to a friend? Absolutely. People love to talk about how conflicts affect Europe. This place is an example of how wonderful freedom and peace is. It shows how rewarding it is to be creative and embrace the future. As I leave I'm full of life, my road trip to Maribor was absolutely worth it. Chateau Ramšak supported my research trip. All thoughts and the deep excitement felt are my own experiences and feelings. Počehova 35, 2000 Maribo, Slovenia. 7 Safari Style tents, one of them is in a Tree House. EUR 200 - 400, incl. breakfast. Rates depend on the season. Check-in after 2pm. Check-out 11am. Romantic getaway, solace and relaxation, foodie experience. Yes, food is served in the garden or in the old wine cellar. (This place is perfect for vegetarians). By car. Maribor is 100 kilometres from the capital city Ljubljana. 500 kilometres from Munich in Germany. 350 kilometres from Salzburg and 80 kilometres from Graz in Austria. 100 kilometres from Zagreb in Croatia. 330 kilometres from Bratislava in Slovakia. 350 kilometres from Budapest in Hungary, 350 kilometres from Venice in Italy. By train. As far as I know there are still unclosed gaps in European train travel, it would take an awful lot of time to travel to Maribor by train. 2,5 hours from Ljubljana. 9 hours from Munich in Germany. 10 hours from Salzburg and 2.5 hours from Graz in Austria. No direct connection from Zagreb in Croatia. 13 hours from Bratislava in Slovakia. 13 hours from Budapest in Hungary, 16 hours from Venice in Italy. By plane. I recommend flying to any of the aforementioned airports and rent a car. What about a Visa for Slovenia? You will need to hold a valid travel document when entering Slovenia and apply for a Schengen Visa if you are a third country national (applicable if your home country is not part of the EU). Find all information you need on the website of the Slovenian Ministry of Foreign Affairs. Travel Slovenia. 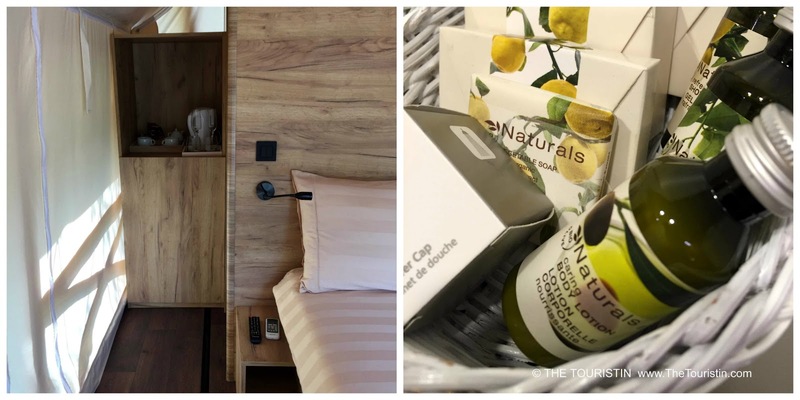 Where to sleep like an angel in the European Green Capital Ljubljana. Travel Slovenia. The European Green Capital Ljubljana. Travel Croatia. This is why you absolutely have to see Rovinj. Travel Croatia: 10 fantastic things to do outside of Split’s Old Town. Travel Croatia. Things you see while you wander through 1700 years of history inSplit’s Old Town. Travel Croatia. Where to Eat Vegetarian in Split. Travel Bosnia-Herzegovina. Mostar. Bridge the Gap. Travel Bosnia-Herzegovina. Visit Mostar the Street Art Capital of Bosnia-Herzegovina.